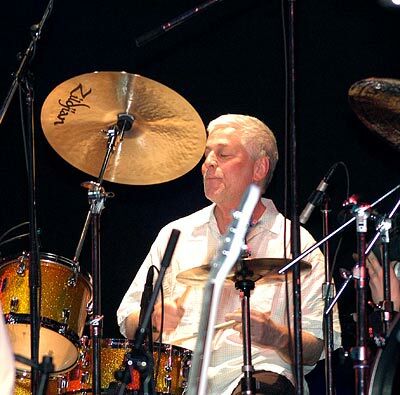 Andy Newmark has played drums on Flesh + Blood, Avalon, Boys And Girls, Bete Noire, Taxi, Mamouna & As Time Goes By. Andy also played on Roxy Music's 1982 tour and Bryan Ferry's 1988 tour, this can be seen on the High Road and New Town videos. McKendree Spring, Phillips-Macleod, Glamour Camp, Mark Farner Band, Tom Verlaine Band, Grand Funk, ABC, Alessi Brother, Andy Pratt, B.B. King, Bob James, Badfinger, Carole King, Cat Stevens, David Bowie, David Forman, Evie Sands, John Lennon, Jim Capaldi, Liona Boyd, Roy Harper, Steve Winwood, Yoko Ono.